Join us for a conversation with Adya Siddarth, a software Engineer who also has expertise in Urban Policy & Practice. The purpose of her work is to establish creative ways for engineers and technologists to rethink and act for societal and environmental wellbeing. 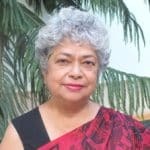 Adya discusses how the conscious full spectrum (CFS) shifts the way consulting happens – from prescribing solutions to creativity and co-creation fostered in any group– children, youth, social workers, faculty, experts, development professionals, policy makers. From designing silo-based projects we shift to developing platforms for individuals and groups to come together and realize their agency and potential; and to develop their own breakthrough initiatives for change in their environment and society. For example, we when we worked on solid waste management as an entry point, using the CFS approach, we could design the project to also look at interactions, interconnectedness and interdependence of other systems such as sanitation, ecology, local governance, cultural norms, along with other stakeholders. Bio: Adya Siddarth is an engineer by background and Practitioner Coach for Transformational leadership. She has been a facilitator, resource person and mentor for various programmes organised to foster leadership in local communities and organisations. She has worked for TISS as a Programme Officer of a field action project focusing on research and conducting learning-in-action programmes with NGOs and communities in Geographic Information Systems (GIS), Information and Communication technologies (ICT) using Free and Open Source Software, Participatory tools and Transformational Leadership for action. She has a background in urban policy and practice. Prior to this she has worked in the Software industry in the area of mobile application development for the social sector. 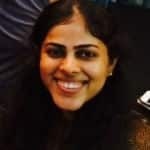 Her current work focuses on transforming the sector of education – particularly higher education in India – to look at how institutions and students from various disciplines (engineering, architecture, management) can work towards meaningful contribution to society including their surrounding neighbourhoods for social and environmental wellbeing and sustainability.